The wedding ceremony consists of about three percent (3%) of the overall budget, and the reception about eight percent (8%). 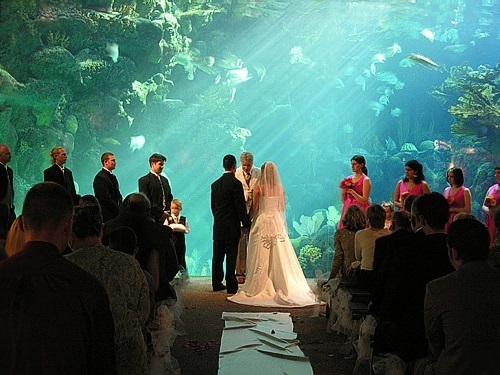 The best place to start in your wedding plans is to figure out what location best suits you for both. Once you have accomplished this, you can continue with other important aspects of your wedding. For instance, if you decide you would like to have the ceremony and reception in an exotic place, you need to start finding coordinators in those areas. Of course, this is if your budget will allow you to follow through on your dreams. This may include places like Jamaica, Hawaii, or other gorgeous island of your choice. A few days prior to your wedding, family and friends would begin to arrive. The coordinator may set up some activities for the group, or just give them the opportunity to enjoy their time together. You as the couple may arrive on the day before, greet everyone, and have rehearsals that night. Once the wedding is done, and it’s time for your honeymoon, your various guests will leave. Then you and your new husband can stay longer, and enjoy a wonderful and romantic honeymoon in the exotic paradise you’ve chosen. Eighty five percent (85%) of weddings are held in a synagogue or church. Your family may be religious, and you have always dreamed of a wedding that would be held within your place of worship. If this is the case with your family, then finding the location won’t be a problem. The difficult part will be finding out if it will be available at the time you’ve allotted for your wedding day. Several options are open to you if you have no religious preference. Several venues will allow the simple or elaborate wedding and reception you have always dreamed of. Will it be outside or inside? Should you choose an exotic place, or have it in your hometown? Should you choose a convenient location for yourselves, or for your family and friends? Consider locations such as a nearby park, garden, country club, banquet hall, the beautiful backyard of a family member, or a nearby beach or restaurant. Perhaps you live by a beautiful lake that is available for a nighttime cruise, or choose a unique venue such as a favorite museum.